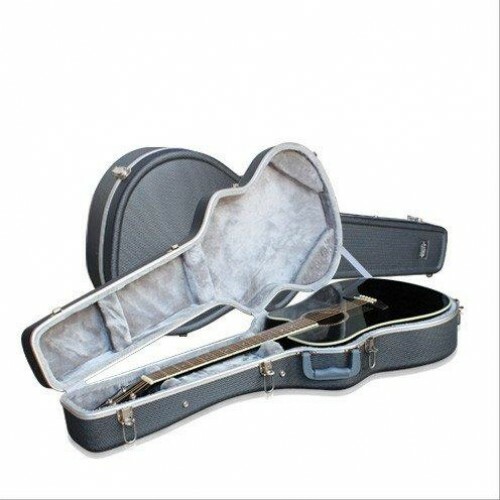 Acoustic Guitar hard Case (ABS) Ashton Brand (Australia), Available in taalmusicals.com, vijayawada, guntur, at lowest price in india. The Platinum range of guitar cases from Armour are manufactured from high-quality ABS to ensure that your guitar is well-protected at all times. The range features lightweight, hard protective outer shells, soft fleece upholstered molded interiors, and are completely lockable. he C40II might be one of Yamaha's most inexpensive full-size classical models, but its quality and t..
General Specifications Body ShapeTraditional WesternScale Length634mm .. SE AX20E Solid Sitka Spruce Top | Mahogany Back & Sides | Factory Installed Electronics with Tu..